Let's talk about exhaust systems - Ford F150 Forums - Ford F-Series Truck Community. 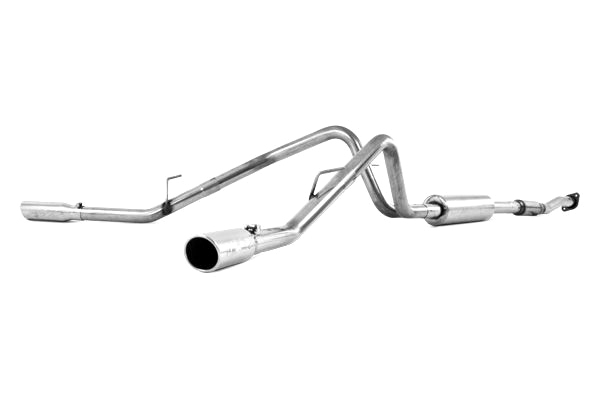 MBRP® S5232409 - XP Series™ Stainless Steel Cat-Back Exhaust System - Split Side Exit MODERATE SOUND, 2.5" Tubing, Split Side Exit, and Stainless Steel Angled Rolled Edge Tips. 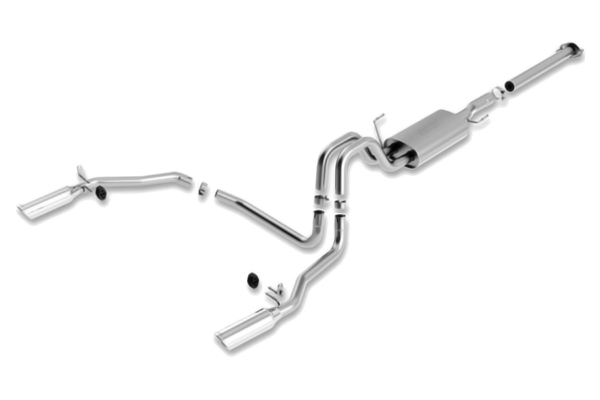 MagnaFlow® 15460 - Street Series Stainless Steel Cat-Back Exhaust System MODERATE SOUND. Dual Split Rear Exit. 2.5" / 3" Tubing, 5" x 8" x 18" Muffler, 3.5" Polished Stainless Tip. 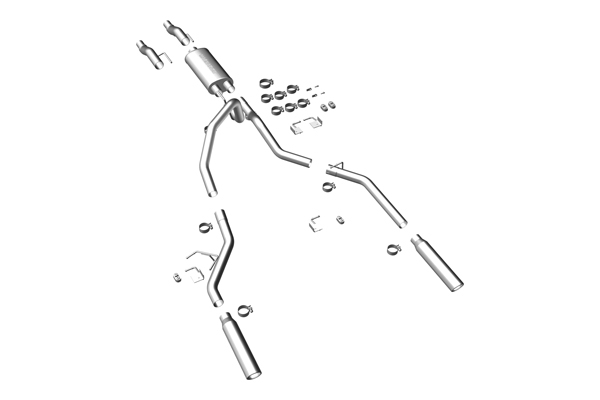 Borla® - S-Type™ Stainless Steel Cat-Back Exhaust System AGGRESSIVE PLUS SOUND, Split Rear Exit. 4" Inlet / 14" Outlet Single Round Rolled Angle-Cut Tip. 2.25" Tubing. How do you think, will your car benefit from the exhaust system? 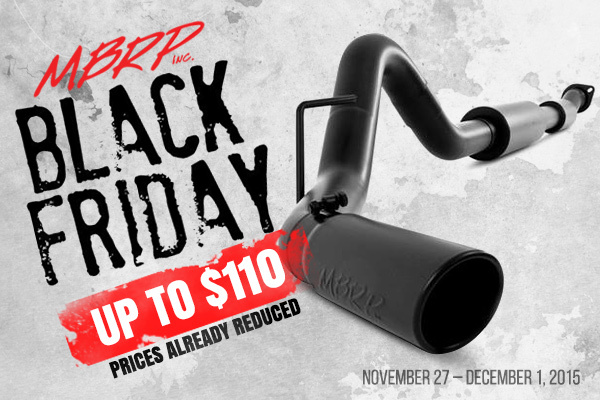 It's time to participate in the Holiday Sale and save up to $110 for the qualifying products from MBRP. Prices are already reduced. This offer starts November 27 and expires December 1, 2015.